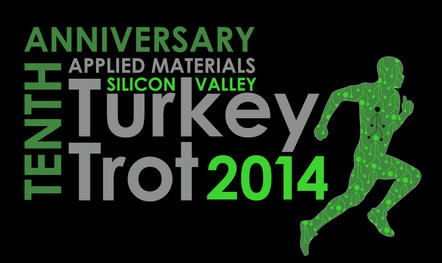 The 10th Annual Turkey Trot is taking place next week on Thanksgiving morning. There will be Elite 5k/10k races, a Wheelchair 5k/10k, a Run/Walk 5k, Costume Contests, and a Kid's Fun Run. The race starts at Santa Clara Street at Market and finishes at Santa Clara Street at Delmas with a huge festival at the Guadalupe River Park and Arena Green. Over the past 9 years this event has raised $4 million for local charities. The goal for this year is to raise $1 million! For more information and to sign up for the event, head over here!